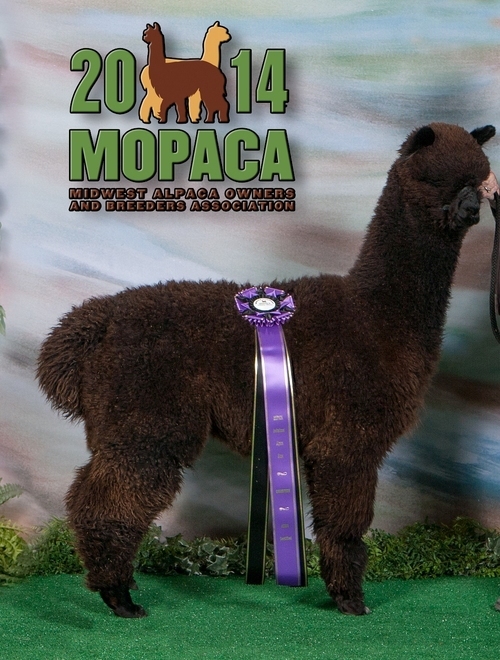 Genesee is simply a Magnificient Alpaca and proved it at every show she's been in. Her conformation and type are ideal. Her fleece absolutely exquisite. A top production animal. Genesee has produced year after year with show quality/champion offspring. 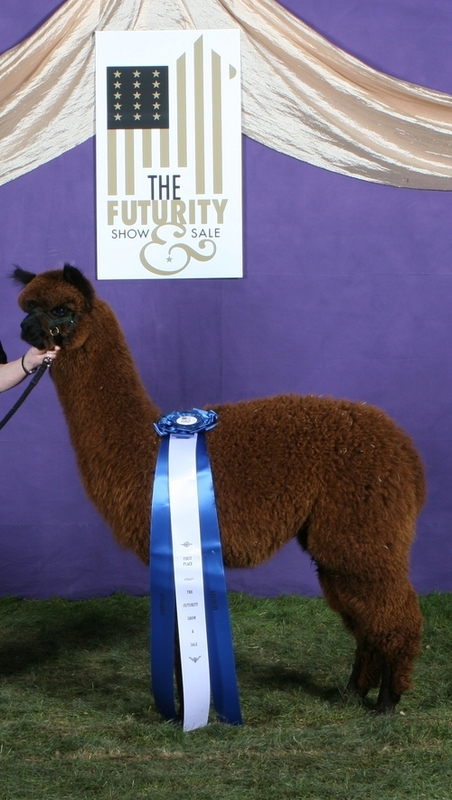 You often hear of those "favorite" foundation females when speaking to alpaca breeders across the country - no doubt, Genesee is a Queen. 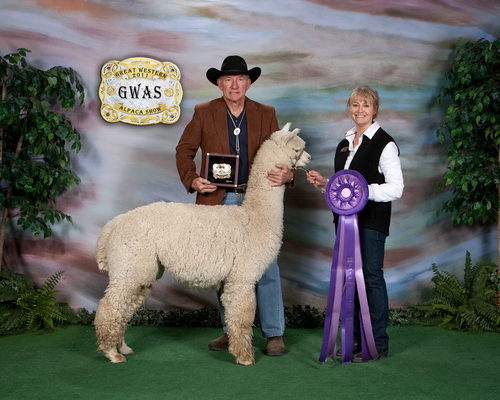 Genesee was bred to El Nino's Golden Legend again for her 2012 cria. We are offering our 4x champion black female Mile High Hannah Bay. 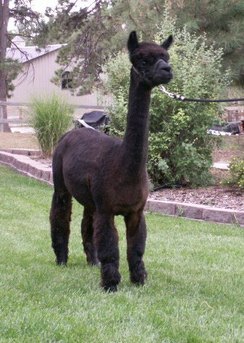 She has an exceptional production history of producing many champion offspring including a judges choice winner at GWAS. We will include a breeding to Kodiak to use with her or another female with her purchase. 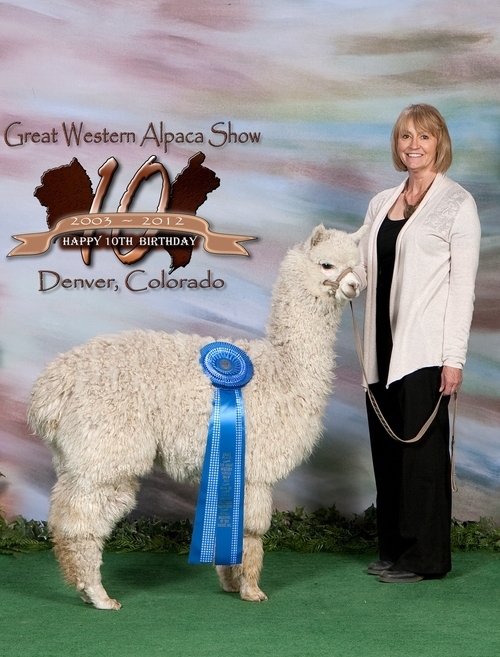 Hannah Bay is co-owned with Kate Giorgi and Kyle Davis of DG Alpacas. GWAS, Produce of Dam, class of 17! !